Finding an affordable life insurance policy with Cardiac Arrhythmia can be quite the challenge. Can I Qualify for Life Insurance if I have Cardiac Arrhythmia? Yes, most individuals with Cardiac Arrhythmia will be able to qualify for traditional life insurance, the type of insurance which requires a medical exam. Best Case Scenario – Cardiac Arrhythmia with few PVCs (premature ventricular contraction) seen on ECG, no identifiable damage to the heart and no symptoms of palpitations or fainting spells may qualify for a “Standard” rating. Click here for quote at “Standard”. Moderate Case – Those cases with identifiable atrial fibrillations (AF) that are the result of other medical conditions, shows no frequent symptoms of dizziness or lightheadedness and are established as controlled by a physician may get a “Mild Substandard” or “Medium Substandard” rating. When were you diagnosed with Cardiac Arrhythmia? It is easier to determine a rating for Cardiac Arrhythmia if the cause of the abnormal heart beat is identified. Usually atrial fibrillations are due to existing medical conditions while ventricular fibrillations are due to damage in the heart. Early diagnosis and treatment give a better chance of recovery. ECG tests done in the past plus a most recent one will give a comparison whether your condition has changed within the last 6 months. If there are no changes seen this may be considered a stable case of Cardiac Arrhythmia. Those with few PVCs may qualify for “Standard”. Those, however, with AFs and many PVCs may get either a “Mild Substandard” or “Medium Substandard” rating. Have you experienced symptoms like chest pain, palpitations or fainting spells within the last six months and how often? Regular visits to your doctor show good compliance that can be used together with your ECG to determine whether you qualify for a “Standard” rating or not. The need for medications for Cardiac Arrhythmia can be either good or bad. Regular intake of maintenance medications for your symptoms for the last 2 years may be considered a good sign of control of the condition and may get you a “Mild Substandard” rating. Medications, however, that are given very recently may be viewed as a sign of an unstable condition and may get a “Medium Substandard” rating. Risk factors for chest pain include diabetes, cigarette smoking, high blood pressure, high cholesterol, family history of heart disease and a sedentary lifestyle. This is very important to determine, because if one of the following is present it may contribute to an association with unstable Cardiac Arrhythmia and get you a “Medium Substandard” rating and in worst cases a decline. Do you have a history of heart attack? Emergency conditions due to many PVCs or history of heart attack may get a decline. For mild cases, however, the best approval would be at a “Medium Substandard”. Medical conditions like left ventricular hypertrophy or coronary artery disease may be the cause of Cardiac Arrhythmia, which will need further assessment to determine the appropriate health class. Cardiac Arrhythmia also known as cardiac dysrrhythmia, irregular heartbeat, abnormal heart rhythm, ventricular arrhythmia is a result of various conditions that send abnormal electrical impulses or irregular conductions in the heart, or both. These abnormal electrical activities are called fibrillations (atrial or ventricular). The heart beat in Cardiac Arrhythmia may either be too slow (bradycardia) or too fast (tachcardia). 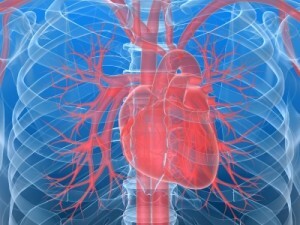 In some cases it is the rhythm of heart activity that has abnormalities. Causes of Cardiac Arrhythmia need to be established immediately because serious conditions may lead to an emergency situation or even death.